Virtually every major phone manufacturer and the five largest U.S. carriers have reached an agreement to include anti-theft kill switch technology in all phones sold after July 2015, it was announced Tuesday. 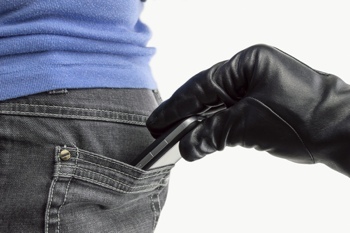 According to the terms of the Smartphone Anti-Theft Voluntary Commitment, signed by heavyweights Apple, Google, Samsung, Verizon, AT&T and more, manufacturers will need to include four basic anti-theft functions in smartphone devices at no extra cost. These include remote wiping, remote deactivation, prevention of unauthorized reactivation, and an ability to restore your data and functionality should recover your own lost device. These functions will be protected by password or PIN. The unprecedented agreement comes on the heels of increasing legislative and law enforcement pressure to include anti-theft tech on smartphones. Past efforts to secure a voluntary kill switch agreement fell short due to the size of the phone insurance industry. But recent action by the powerful California state legislature to consider bills mandating the anti-theft tech, along with other state and local legislative bodies, forced the wireless industry to take nationwide action. iPhone owners already have a built in kill switch of sorts called “Activation Lock.” It allows you to remotely disable a phone and prevent its use once stolen without your Apple ID. Unfortunately, it was recently discovered that Activation Lock can be easily skirted by thieves.